Whenever you move into a new house, or are looking at remodeling your existing house, you often look toward the obvious things. New paint, new appliances, light fixtures, all of those things that are immediately obvious. But what about the parts of the house you don’t see? Those areas are arguably more important than the paint and visual upgrades, as they can demonstrate real savings and returns for your household. Here are the top reasons to install, repair, or upgrade your insulation in your home. We like our homes to be separated from the outside world as much as possible, for comfort, safety, and other reasons. Unfortunately the outside world can invade our cozy homes in the form of pests. 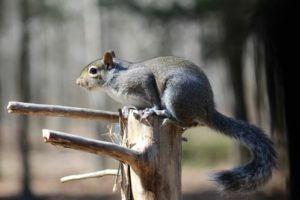 Common pests include squirrels, which can enter the attic area from gaps or damage in the upper areas of your home and will try to nest in your attic insulation. They damage insulation while digging and building their nests, and also create holes through the insulation to get into and out of your attic area. Worse yet, they will defecate and urinate in the insulation, effectively ruining it and creating a potential health hazard in the process. Another pest that can invade the attic area similarly are birds. They will sometimes enter under the edges of the roof and build nests. They will bring in outside materials and also damage insulation to add to their nests. Like squirrels, they will leave their waste in and around your house and will effectively destroy and render your insulation ineffective. Rats, mice and bats will build nests in the attic areas, and sometimes even in the insulation in the walls of your home. 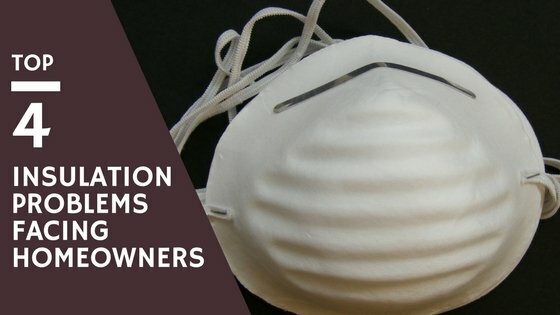 This can create a big problem in terms of loss of efficiency, physical damage to your home, and potential health problems for you and your family as these animals are often disease carriers. Sometimes bees or wasps will also enter an attic and can cause some issues where they nest. These insects will sometimes displace insulation or damage it via nest building, and will sometimes destroy certain types of insulation to build nesting materials from such as cellulose. Everything follows the laws of gravity, even insulation. Eventually through the years insulation settles and drifts. Leaks or damage can accelerate this process, but even with a completely sealed insulation area, the insulation will slowly compress or move over time. It’s important to review your insulation effectiveness periodically, and you can have a professional energy consultation to determine areas which may need to be repaired or updated. By using specialized tools, professionals can determine where temperature change is happening and by repairing those places you can save a lot of money over the years in power bills for heating and cooling. Technologies change and improve over the years. Insulation has a lot of old reliable forms of insulation, but the fact is they weren’t always used in older homes. Additionally older homes may have damaged insulation that has become ineffective. Modern insulation types should be considered to replace your older insulation in the house. In many old houses, the bare minimum insulation was used. If you work with a professional insulation installation company you can save a lot of money by installing more effective insulation that has a higher R-Value and is properly installed in such a way to maximize your savings and comfort. When it comes to attic insulation, you want to have effective ventilation for the attic. This ensures that air can flow through the attic vents which is important for a number of reasons. Traditional insulation materials, when improperly ventilated, will retain moisture. A humid summer or rainy day can fill the air with damp water droplets that will settle in your insulation at night when everything cools down and they condense from the hot air. This is similar to dew forming on grass. Improperly installed insulation that blocks vents can trap that moisture. Without proper ventilation, the insulation in your attic will stay damp and is very likely to grow mold and mildew. 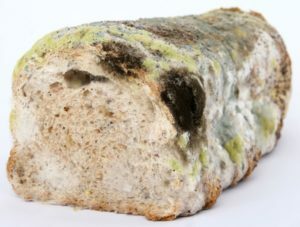 The wet moldy insulation loses effectiveness and can cause health problems for the residents of the home. This can lead to allergies or worse, such as toxic molds that can be dangerous to your health. A professional insulation installer knows about these potential problems and will install insulation the right way, saving you money now in terms of energy efficiency, and more money in the future by avoiding expensive mold removal and reinstallation costs. Some types of insulations are more waterproof than others such as spray foam insulation. As you can see, there are many reasons you may want to evaluate your insulation in your home. A professional can come out and look at the key areas of your home, check temperature changes and airflow problems, and can make specific recommendations for your home. A quick consultation can save you money and potential health issues. Call (817) 966-9605 today for a free consultation with a professional insulation installer today. You can also contact us by using our quick and easy contact form.